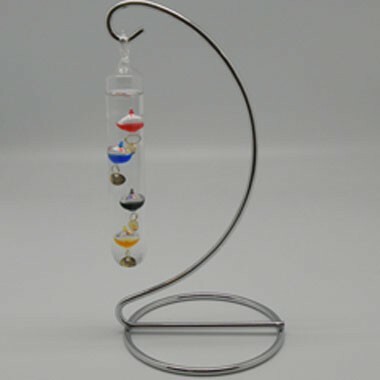 Description: 6" Hanging Galileo Thermometer features 4 multicolored with gold plated temperature tags. Measures temperature between 68-80 in 4 degree increments. Imprint Area: 0.5" x 0.5"